U.S. President Donald Trump took his verbal jousting with Kim Jong-Un to a new level Sunday, taunting the North Korean leader over his height and weight before musing over the idea of them eventually becoming friends. While they have never met, Trump and Kim have form when it comes to name-calling, with the U.S. president a more than willing match for the highly rhetorical flourishes deployed by his adversary in Pyongyang. Trump has referred to Kim as a "madman" and "Rocket Man" while the 33-year-old responded by calling the 71-year-old former reality TV star a "mentally deranged dotard." On Sunday Trump got down to basics, with a sarcastic tweet prompted by recent descriptions of him in the North's state media as a "lunatic old man." "Why would Kim Jong-Un insult me by calling me 'old,' when I would NEVER call him 'short and fat'?" the president tweeted from Hanoi -- the latest leg of a lengthy Asia tour that had, until then, appeared to have moderated his Twitter habit. Sarcastic or not, the dig about Kim's weight, which has increased significantly since he came to power following the death of his father Kim Jong-Il in 2011, is unlikely to go down well in Pyongyang. Foreign tourists to Pyongyang are generally obliged to pay homage -- laying flowers and bowing deeply -- before giant statues of Kim's father and his grandfather -- founding leader Kim Il-Sung -- at some point during their visit. Questioned later about his tweet, Trump insisted he had not been entirely joking about one day befriending the man he described just last week as a dictator with "twisted fantasies." "That might be a strange thing to happen but it's certainly a possibility," he told reporters at a news conference in the Vietnamese capital. "If that did happen, it would be a good thing, I can tell you, for North Korea ... I don't know that it will, but it would be very, very nice if it did," he added. 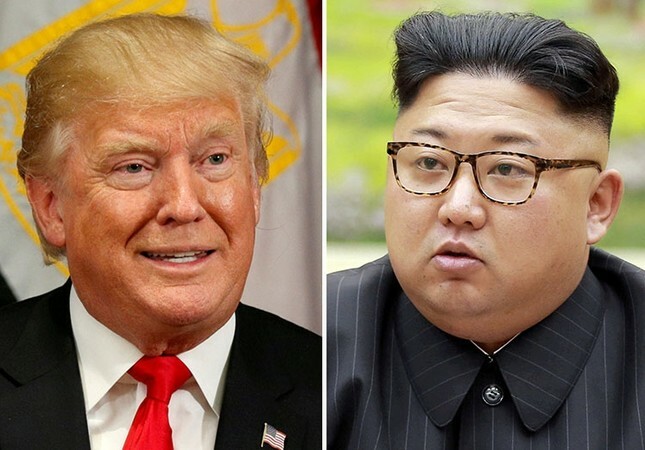 Trump has played hawk and dove with the North during his sweep of five Asian countries -- denouncing it as a "cruel dictatorship," while offering Kim Jong-Un a diplomatic way out of the crisis over Pyongyang's growing nuclear arsenal. During his election campaign, Trump said he would be willing to sit down with Kim and negotiate over a "hamburger" - an offer the North Korea leader has so far chosen to ignore.